Islamabad :�The Pakistan Bait-ul-Mal (PBM) has devised a plan to expand Child Support Programme (CSP) in 144 districts of the country aiming to give additional support to poor families having school going children. 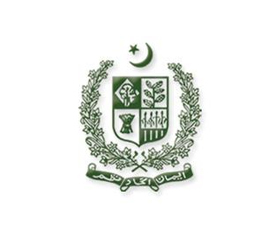 According to an official, additional cash incentives of CSF are being offered to the existing beneficiaries of Food Support Programme (FSP) at the rate of Rs300 to the families having one children and Rs600 to the FSP families having two or more children of school going age. The payments are transmitted to the beneficiaries through Pakistan Post. The CSP would be expanded after completion of the ongoing evaluation and assessments being conducted in collaboration with the various organisations. He said the CSF is benefitting the children of Bhakkar, Tharparkar, Kohistan, Rawalpindi, Multan, Nawabshah, Abbottabad, Kharan, Quetta, Ghanche and Muzaffarabad. He said the PBM has recently extended the CSF in Swat. The budget of Pakistan Bait-ul-Mal is only Rs2 billion which is being efficiently utilized to benefit the poor and needy. PBM is contributing towards poverty reduction through its various services.